The Clarion University of Pennsylvania Women’s Soccer Elite ID Camp is a 3-day event from July 21 to July 23, . It is a residential camp open to all female high school soccer players. The camp is ideal for players with aspirations to play at the collegiate level. It is an opportunity to play for the Clarion women’s soccer team. The camps gears to provide advanced technical and tactical training sessions. It will provide emphasis on teamwork as well as physical and mental conditioning. It will also focus on unlocking every camper’s potential. Overall, it will be a challenging but fun experience. It will take place at the Clarion University soccer facility. The Clarion University of Pennsylvania is a public coeducational university. It is a member of the Pennsylvania State System of Higher Education. It has an accreditation from Middle States Commission on Higher Education. The university is Tier 2 in the Regional Universities North, rankings. Moreover, it is also 372nd in the Business Programs rankings. The university is offering more than 100 academic programs. Currently, it accommodates around 5,500 students. The university’s faculty to student ration is 18 is to 1. Clarion University has 16 intercollegiate sports teams. They are playing in the Pennsylvania State Athletic Conference of NCAA Division 2. Their nickname is Golden Eagles. In addition, the university identity colors are blue and gold. The head coach of the Golden Eagles women’s soccer team is Sean Esterhuizen. The season will be his 3rd year as the team’s head coach. He is at the helm of the team since August 2014. He is the former head coach of Pasco High School men’s soccer. Coach Sean Esterhuizen is the 1999 National High School Coaches Association Coach of the Year. Furthermore, he is also a 9-time Area Coach of the Year awardee. Then, the women’s soccer team volunteer coach is Thomas Hummel. 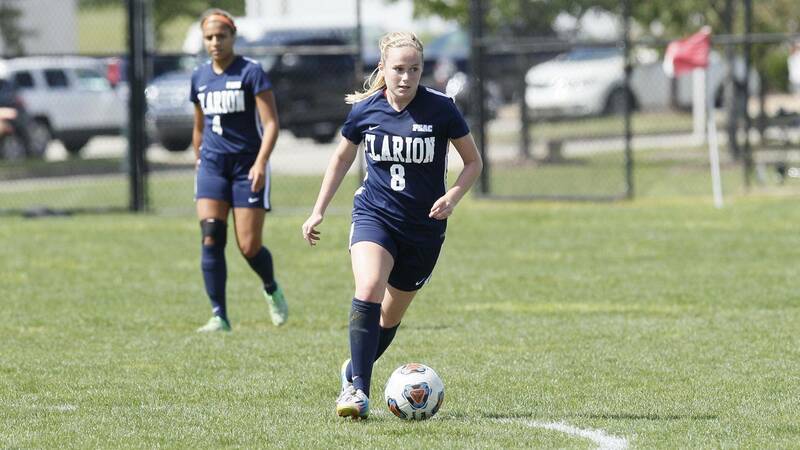 The Clarion University of Pennsylvania Women's Soccer Elite ID Camp will focus on unlocking every camper's soccer potentials.